Comparing iRobot Roomba i7+, i7, 980, 960, 890, 690, 675, 652 and 650 Vacuuming Robots: Which Roomba Is Best For Your Home? Roomba is a robotic vacuum cleaner manufactured by iRobot. It was first introduced in 2002, and several millions of units have been sold since around the world, and many updated and improved versions have been released. Indeed, though nowadays a number of other praise worthy floor cleaning robot brands can be found, there is no doubt that Roomba robots have become the most popular and most praised of all! Because of the various Roomba models available today, offering features from the most basic to the most sophisticated, choosing the right Roomba for your home can be a daunting task. So, if you are asking "Which Roomba is best for my home? ", you might find this article useful. We will compare here the most popular and best rated Roomba robots presently available on Amazon, so you can choose the one that will best respond to your home's vacuuming needs. Note that iRobot does not make any more the older 500 and 700 series vacuuming robots. The company presently makes vacuuming robots that belong to 600, 800 and 900 series as well as the recent Roomba i7 and i7+ robots. Therefore, we will not cover in this article any 500 and 700 series robots. To enjoy the benefits of the latest features and get good product support from the company, it makes sense to consider only Roomba i7+, i7 and the most popular Roomba robots belonging to the 600, 800 and 900 series. This article will compare the Roomba i7+, i7, 980, 960, 890, 690, 675, 652 and 650 robots. 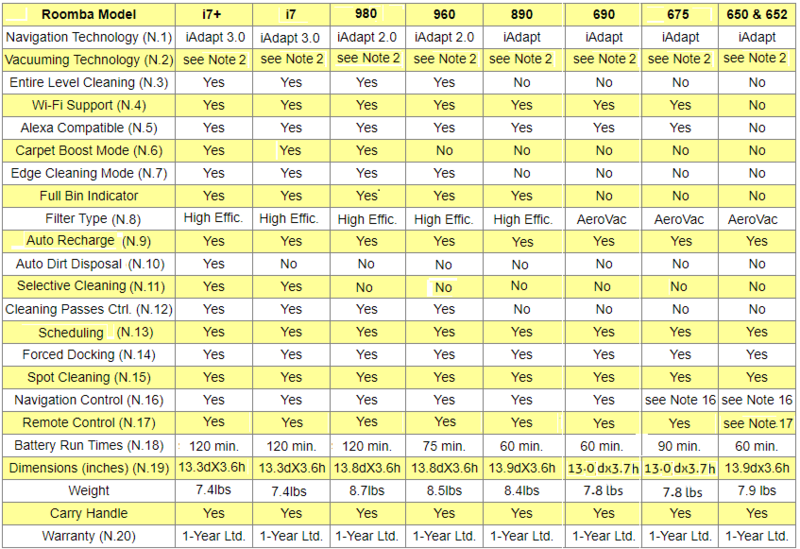 The following table compares the iRobot Roomba i7+, i7, 980, 960, 890, 690, 675, 652 and 650 vacuuming robots. Roomba 650, 652, 675, 690 and 890 were designed with the iAdapt navigation technology composed of sophisticated software and sensors that allow these robots to clean more thoroughly the room, making multiple passes, avoiding stairs, getting under and around furniture, and cleaning along wall edges and corners. 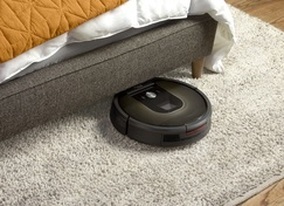 The low-profile design of these robots allows cleaning under most furniture. They also automatically adjust to all floor types - carpet, tile, hardwood, laminate and more. Roomba 960 and 980 were designed with the more advanced iAdapt 2.0 technology which features the vSLAM technology that is used to map out your home to ensure complete coverage. It allows the robot to seamlessly and efficiently navigate an entire level of your home and keep track of its location. With iAdapt 2.0, the robot uses a high-efficiency cleaning pattern and a full suite of sensors to adapt to real world clutter and furniture for thorough coverage, avoiding obstacles and stairs. Roomba 650, 652, 675 and 690 are equipped with acoustic sensors which allow them to find dirtier areas and spend more time cleaning them. Roomba 890, 960, 980, i7 and i7+ come with more sophisticated dirt detection ability. They are equipped with both acoustic and optical sensors, and therefore they are more powerful and effective in finding dirtier areas. Finally, note that these Roomba robots use either Virtual Walls or Dual Mode Virtual Wall Barriers to be kept away from rooms or areas they are not supposed to enter. Please see Note 16 below for more detailed explanation of these stand alone little navigation direction control devices. Roomba 650, 652, 675 and 690 use dual multi surface bristle brushes, while Roomba 890, 960 and 980 use dual multi surface debris extractors which are non-bristle brushes that are tangle free. So, they are better for picking up pet hair and debris. i7 and i7+ use dual multi-surface rubber brushes that are similar to the debris extractors, but they were further improved for better pickup. ​Note also that the suction power in Roomba 960 and 890 is increased 5 times compared to the suction power in the 600 series robots, and the suction power in Roomba i7+, i7 and 980 is increased 10 times compared to the suction power in the 600 series robots. Except for Roomba i7+, i7, 980 and 960, all Roomba robots need to be restarted after they recharge themselves at their Home Base (unless of course they had been previously scheduled to restart at a later time). Only Roomba i7+, i7, 980 and 960 are able to resume automatically the cleaning job where it was interrupted before going to Home Base to recharge. They continue this way until the job is done and the entire level of your home is cleaned! 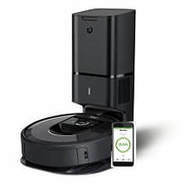 When Roomba i7+, i7, 980, 960, 890, 690 and 675 are connected via Wi-Fi to your smartphone or tablet, you can use the free iRobot Home App for Android and iOS to invoke remotely operations (such as cleaning, scheduling, etc.) from wherever you are, using your smartphone or tablet. When the App is used with Roomba i7+, i7, 980 and 960, you can also see the status of cleaning jobs, and you can customize your cleaning preferences (such as setting the number of cleaning passes, choosing special edge cleaning action, etc.). Note: You may be asking the question: Can we use these seven Roomba robots without Wi-Fi?". The answer is "Yes! ", you can use them, but if you don't have Wi-Fi, you will have to control them by using the control buttons on the robot or by purchasing a compatible remote-control device (see the Amazon products section below for compatible remote-control devices). Note however that certain operations on Roomba i7+, i7, 980 and 960 are only available from the App on the smartphone which needs Wi-Fi. 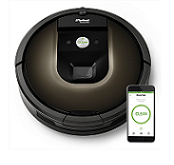 Wi‐Fi connected Roomba vacuuming robots, Roomba i7+, i7, 980, 960, 890, 690 and 675, are all compatible with Amazon Alexa and the Google Assistant, so they are voice controllable. Simply ask Alexa or the Google Assistant to start, stop, or dock your robot​. All Roomba robots are equipped with a side brush to clean wall edges. But Roomba i7+, i7 980 and 960 feature the special Final Edge Clean function to make sure that stubborn dirt and debris along wall edges are all removed. After these robots finish cleaning the open areas of your floor, they use the Final Edge Clean feature to ensure that they have cleaned along walls and around furniture legs. If you prefer a quicker clean, you can disable Final Edge Clean from the App. ​This feature is turned on by default. The AeroVac filter in Roomba 650, 652, 675 and 690 handles quite adequately hair, pet fur, lint and carpet fuzz, but the AeroForce High Efficiency filters on Roomba 890, 960, 980, i7 and i7+ do even a better job capturing hair, pet fur, lint and carpet fuzz, and can capture 99% of allergens, pollen, and particles as small as 10 microns. ​Note that, except for Roomba i7+, i7, 980 and 960​, all other Roomba robots need to be restarted after they recharge themselves at their Home Base (unless of course they had been previously scheduled to restart at a later time). Only Roomba i7+, i7, 980 and 960 robots are able to resume automatically the cleaning job where it was interrupted before going to Home Base to recharge. They continue this way until the job is done and the whole level of your home is cleaned. In most cases, Roomba will remove dirt and debris with just one pass over each area of your home. With Roomba i7+, i7, 980 and 960, two-pass cleaning can be requested and can be particularly helpful in homes with pets or for periodic deep cleaning. The number of cleaning passes is one by default. This feature is only available on Roomba i7+, i7, 980 and 960 and can be invoked from the App. ​With all Roomba robots, scheduling can be pre-set up to 7 times per week. The robot starts vacuuming as soon as the scheduled time is reached. All Roomba robots are equipped with a docking button that can be pressed to force the robot to dock at its Home Base. Of course, the robot will also go automatically to its Home Base when battery runs low. Virtual Walls: These are tiny devices that emit an infra-red beam that the Roomba will not cross. They are used to stop the Roomba from entering areas not wanted to be cleaned. They can be set to block an area ranging from three to eight feet long. Dual Mode Virtual Wall Barriers: Like Virtual Walls, these small devices can be used to block off an open doorway, but they can also be used as Virtual Wall Halos to protect some restricted area within the room, like for instance the area where the dog food might be. 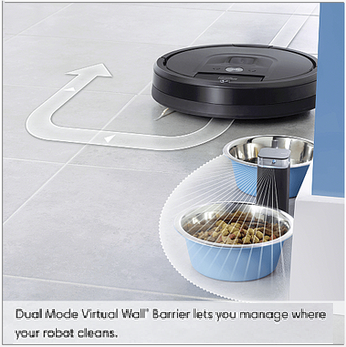 ​​Note: Though as shown in the above table Roomba 675 and 652 ​​do not come with a navigation control device, Roomba 675 is compatible with Dual Mode Virtual Wall Barriers and Roomba 652 is compatible with Virtual Walls. If needed, a Dual Mode Virtual Wall Barrier or a Virtual Wall can be optionally obtained for these robots (see Amazon products section below). 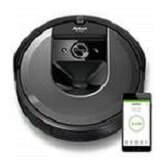 Roomba i7+, i7, 980, 960, 890, 690 and 675 can be remotely controlled from your smartphone or tablet using the iRobot Home App. No explicit remote-control device is provided. For Roomba robots that can't be controlled from your smartphone and don't come with a remote-control device, such as Roomba 652 and 650, an optional remote-control device can be obtained separately. These robots are compatible with the Roomba remote-control device, but the device is not included in the purchase of the robot. See Amazon products section below for optional Roomba remote-control devices. iRobot has specified the battery run times for Roomba i7+, i7 and 980 as 120 minutes. iRobot has specified the battery run times for Roomba 960 as 75 minutes. For all the other Roomba robots compared above, except for Roomba 675, the average time is about 60 minutes. 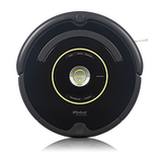 Roomba i7+, i7, 980, 960, 890, 690, 675 and 652 come with a Lithium-Ion battery. Roomba 650 comes with a Nickel-Metal Hydride (Ni-MH) battery. ​Having read the above comparison, you should be in a better position to answer the question "Which Roomba is best for your home?". So, if you have large areas in your home that require the robot to recharge multiple times, and you don't want to bother with having to restart the robot after each recharge, you might want to consider either the i7+, i7, 980 or 960, as they are all capable of completing the job without human interference. Roomba i7+, i7 and 980 have also the ability to boost the vacuuming intensity up to 10 times when carpets and rugs are detected, a feature not available on the 960 or on any of the other Roomba robots. Roomba i7+, i7 and 980 can run for about 120 minutes before going back to Home Base to recharge, while Roomba 960 can run 75 minutes before recharging. ​​All other Roomba robots, except for Roomba 675, can run about 60 minutes before going back to recharge. Roomba 675 can run about 90 minutes,. Keep in mind that Roomba i7+ is the only Roomba that comes with the automatic dirt disposal feature, and that Roomba i7 and i7+ are the only two that have the room based selective cleaning feature. Note that Roomba 650 and 652 are the same robots. 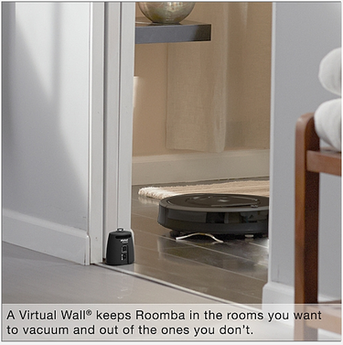 The only difference is that Roomba 650 comes with 1 Virtual Wall while Roomba 652 does not come with any. The above listed Roomba i7+, i7, 980 and 960 additional features can be quite useful in larger homes. But for smaller homes, if you need to control your phone from your smartphone, you could also consider Roomba 890, 690 and 675, as they support the must-have important features, such as good floor coverage, avoiding stairs, self-recharging and scheduling. Note also that Roomba 890 comes with the more powerful AeroForce technology found in all 800 and 900 series robots. Now, if you don't need to control your phone from your smartphone (i.e. no Wi-Fi needed), and if you don't need the additional functionality that comes with Roomba i7+, i7, 980 and 960, you would probably be quite satisfied with the vacuuming results obtained with any of the 600 and 800 series robots. But before choosing between 600 and 800 series robots, remember that the main difference between them is the vacuuming technology used: 600 series robots use the AeroVac technology, while 800 and 900 series robots use the more powerful AeroForce technology (please see comparison table Note 2 above for a description of AeroVac and AeroForce). 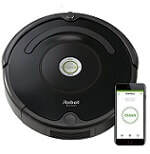 ​You will find in the Amazon products section below Amazon links for all the Roomba robots compared above which you can click for exact price information or to purchase.